Imagine if you lived in the White House! The first book centers around three of Theodore Roosevelt's children, Kermit, Ethel and Archie. Their mother is away and they are left in the charge of a comical nanny named Mrs. Duffit and their President father, who is very preoccupied with the visit from a quirky Russian Ambassador, Count Cassini. 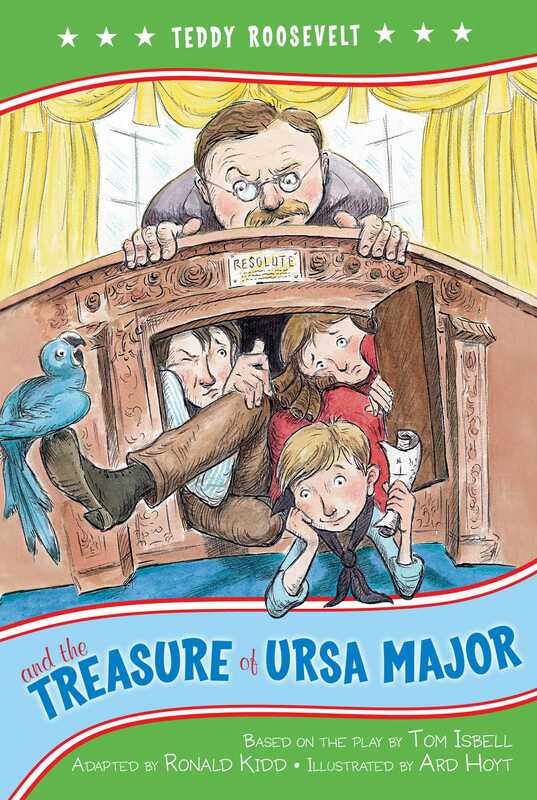 Eager to keep the children out of trouble, President Roosevelt sends his children on a treasure hunt--just like Treasure Island, only in the White House. There are mysteries popping out of Dolley Madison paintings and strange goings-on in the attic--and the result is a rollicking good time and a crash course in American history too. Ron Kidd has masterfully adapted the script from the original play into a novel for us, and Ard Hoyt's playful illustrations are interspersed throughout.